Comic book colourist John Higgins is probably best known for colouring the comic books Watchmen and The Killing Joke. It’s an association that, over the years, he has been happy to make, To that extent he was also involved in the Before Watchmen comic books, writing and painting the serialised story Curse of The Crimson Corsair. But his career goes far beyond that. After publication in Brainstorm, the seventies comic that featured the likes of Bryan Talbot and Grant Morrison, he drew plenty of strips for 2000AD, wrote a few of them as well, as well as doing covers for Marvel UK. He drew Greysuit with Pat Mills, and worked with Justin Gray and Jimmy Palmiotti on The Hills Have Eyes: The Beginning and Jonah Hex. He also wrote and drew Razorjack from Com.X and painted stamps commemorating the Great Fire of London in the style of a comic strip for the Royal Mail. In 2017 a collection of his artwork was exhibited at the Victoria Gallery & Museum in Liverpool, in an exhibition called Beyond Dredd & Watchmen: The Art of John Higgins. But now he has sunk to far lower depths. 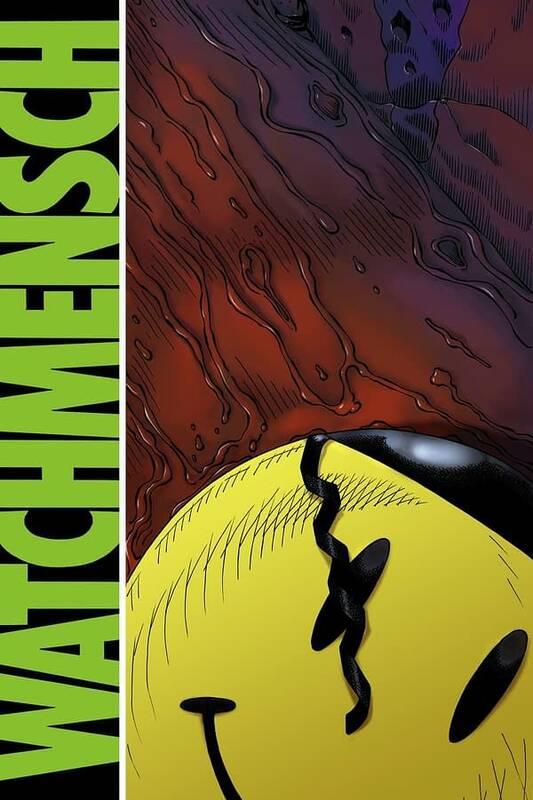 Recently I reminded you of a parody comic book I wrote a few years ago, drawn by Simon Rohrmuller, that parodied Watchmen around the time of the movie, called Watchmensch. Of which Dave Gibbons said “I laughed out loud at Watchmensch. Several times, in fact — and the climactic scene is more awesome than any squid!“ Out of print, it often sells for up to $6 on eBay. Well, I can officially announce that it will be reprinted in the upcoming Soft Wood magazine, published by Heavy Metal, in May. And, because black-and-white is an anathema to Heavy Metallers these days, it will be fully coloured.